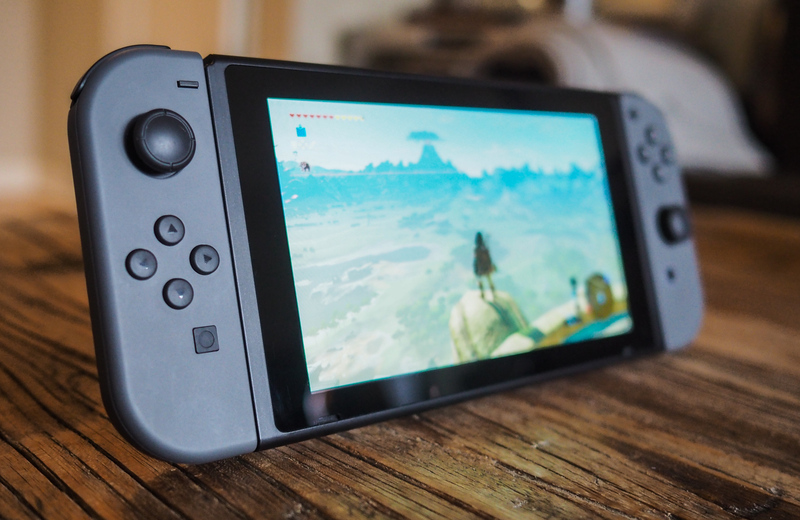 Nintendo’s Switch feels almost like a minimum viable product when it comes to software – the menu, when you boot the console initially, looks like a placeholder with big, empty square blocks suggesting some future software arrival. This is where games you download or insert via cartridge would show up, but it feels very work-in-progress. Jump to the store and the situation’s not much better: There are nine games available in total, and arguably only one or two that most console gamers would consider top-tier. And yet, the Nintendo Switch is one of the best console experiences I think I’ve ever had out of the box, and one that suggests tremendous potential future success once its game catalog fleshes out a bit. First, if the Switch had to have just launched with a single game, Legend of Zelda: Breath of the Wild would’ve been sufficient to make it a success. It’s hard to overstate how terrific the game is, starting from the way it essentially plops you into a rich world with a minimum of direction and plenty of really natural ways to figure out how best to progress. Zelda also offers a wide range of ways to play – you can skulk and sneak around, build up your combat prowess, run past most difficult enemies or just spend hours wandering, picking fruit and catching critters, depending on your play style and preferences. But the success of Breath of the Wild is already well documented; what’s less obvious is how well Nintendo has selected the small handful of other launch titles to prove Switch’s worth as a social gaming device, and demonstrate how its myriad different use configurations are actually super useful and genuinely innovative. Case-in-point: Relatively underhyped launch titles Bomberman R and Snipperclips are actually both fantastic games. These both feature plenty of multiplayer options, which take advantage of the Joy-Con’s ability to act as two separate input devices. Bomberman R can also demonstrate the local networking multiplayer capabilities of the console if you have more than one handy. The Bomberman game also features mechanics you’ll be familiar with from playing previous titles in the series on older consoles, while Snipperclips offers adorable visuals and terrific, novel gameplay mechanics that feel a bit like the multiplayer aspects of New Super Mario Bros Wii, but with more intentional focus on collaboration. Both of these offered the most local multiplayer fun I’ve had on a console in a long time – speaking both in terms of the amount of time spent playing, and the amount of fun we had while doing so. That’s a high bar for the Switch to leap over on what is essentially day one, with a software library that doesn’t offer much in the way of options if you’re not a fan of one or more of the available games. Switch may not have launched with much in the way of on-device media options (no Netflix, which is the biggest blind spot there IMO), and only a small handful of games, but Nintendo focused on delivering the experiences that would make the new console stand out, and stick – and it’s managed to nail both of those. Now we’ll see if it can turn that momentum into something that can sustain itself and grow over the long-term.